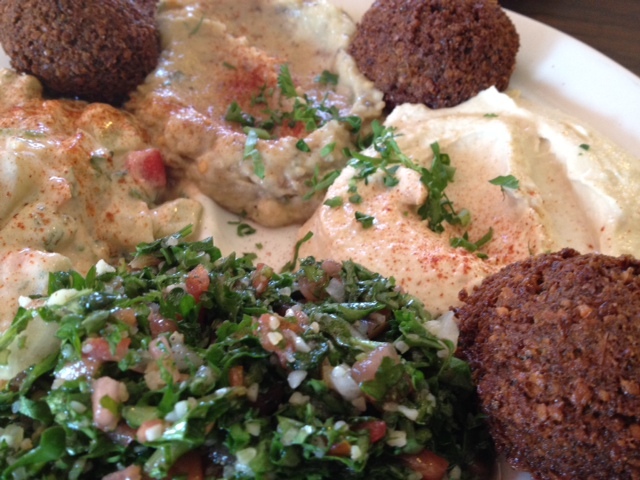 Majorly Delicious Middle Eastern Food. 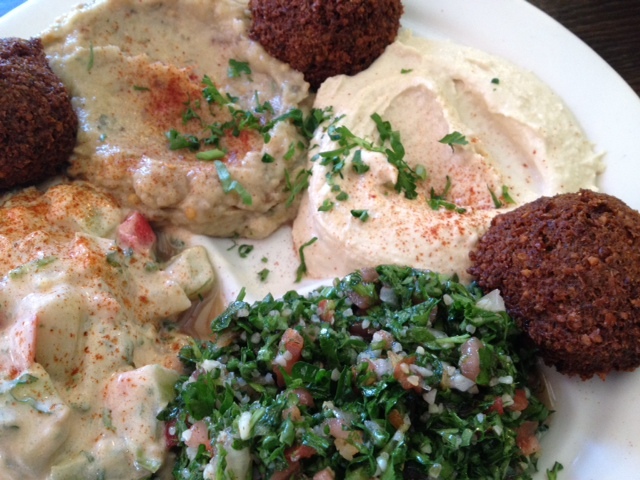 Old Jerusalem (www.oldjerusalemrestaurant.com) is an Old Town favorite of ours. 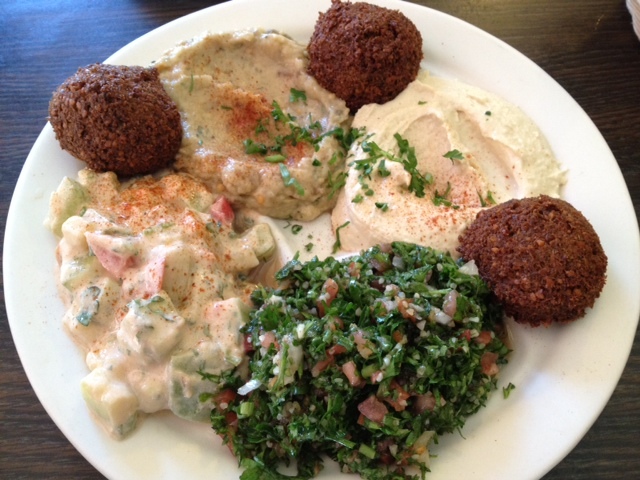 Located on Wells Street, Old Jerusalem was opened in 1976 and serves authentic Middle Eastern cuisine. They are family owned and operated and when I’m there I feel like I’m in someone’s house being served from their personal kitchen. The food is fresh and delicious and the service is great. Below are some of our favorite dishes to order. Hummos with Shawirma: A blend of chick peas and tahini dressed with sautéed shawirma (slices of roasted lamb and beef) served with Lebanese bread. This is Gareth’s usual order here. 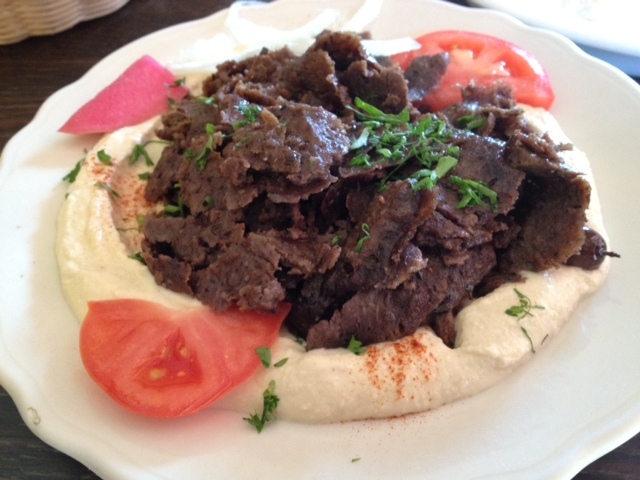 The pairing of the meat and hummus creates a great flavor. 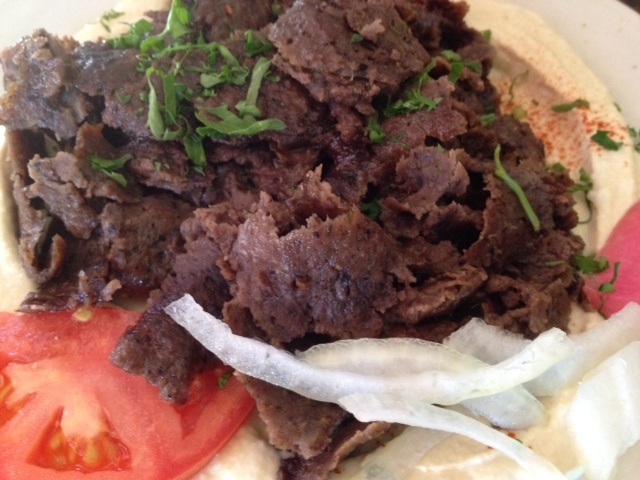 The meat is not as salty or greasy as some shawirma meat can be; it’s much lighter and is freshly prepared. 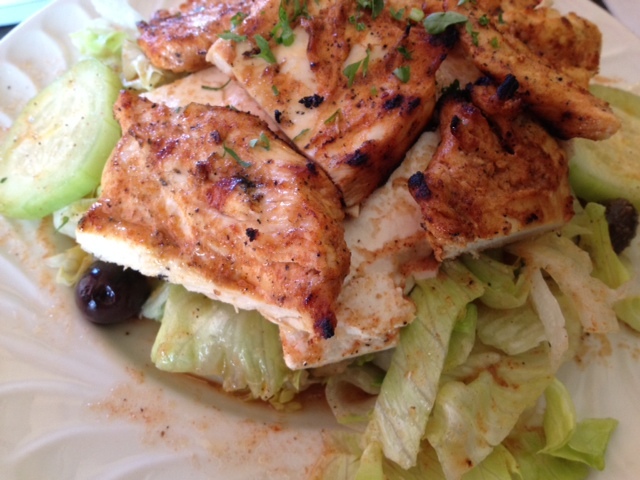 Greek Salad with Chicken: A mixture of lettuce, onions, feta cheese, olives and tomatoes; served with Lebanese bread. This is my favorite salad to get. 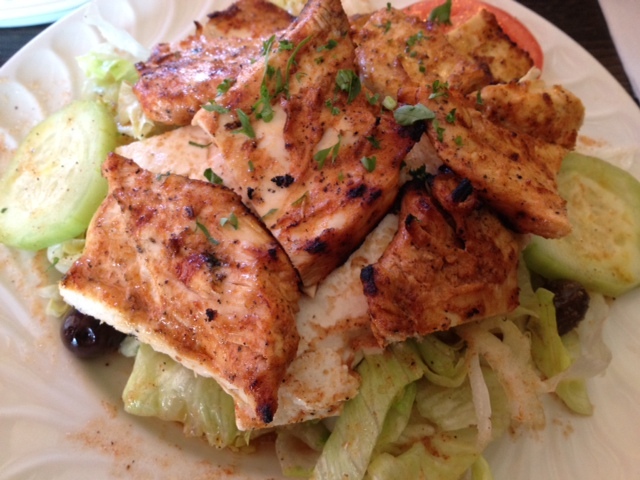 The chicken is grilled fresh and the salad is light and tangy. I love it!